When The Roydon was first built in 1914, it’s doubtful the architects and planners anticipated that its location would put 21st-century residents at the intersection of three of Washington’s most exciting and eclectic neighborhoods: Dupont Circle, Adams Morgan, and the U Street Corridor. Converted to 40 condo units in 2000, The Roydon offers historic living and urban connectivity, with comfortable, pet-friendly homes that include washer/dryer units, hardwood flooring, balcony options, extra storage units, and on-site parking. Nearby, you’ll find wonderful spots for everyday living and necessities, including a Trader Joe’s and Safeway for groceries, Meridian Hill Park for relaxing al-fresco weekends, several Metro stations (including Dupont Circle) and Metrobus routes, and a YMCA for exercise and recreation. And when you want to have fun, take your pick from local hotpots including Lincoln Theatre for live entertainment, Lauriol Plaza for comforting Mexican food, Kramerbooks for book shopping at one of the city’s most popular independent booksellers, and Le Diplomate for nationally renowned French cuisine. Want to get out of the neighborhood for a spell? 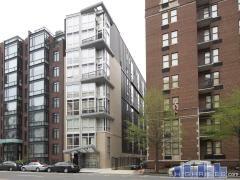 You’re also just a short ride (or leisurely stroll) away from Georgetown and the National Mall. Have any comments or questions about The Roydon? Ask your question and/or share your thoughts about this Building.